Valentine’s is one of my favorite minor holidays! It’s hard for a romantic like me to NOT join in on all the fun… despite the fact that the hubby is definitely NOT a fan. Oh well. Whats a girl to do? Well, this girl goes all out anyways!! Valentine’s day decor, crafts, and of course, sweet treats we can both enjoy. I think with all the pink and red happening in the house right now, the husband might just be forced to come around and get into the Valentine’s spirit! These Tasty Valentines Day Treats are sure to make the day of love just a little sweeter! I will DEFINITELY be giving #1, #7 and #13 a try this Valentine’s! They sound absolutely scrumptious and I am almost positive that they’ll make my husband a little less anti-valentines! What is your favorite Tasty Valentines Day treat? Oh! these are all so cute and vibrant! It’s really good that you shared this early, now I have much time to do a practice one before giving them out. 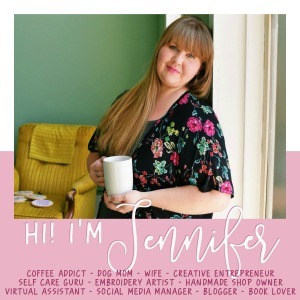 Thank you for all these amazing collections, Jennifer!